OMG! 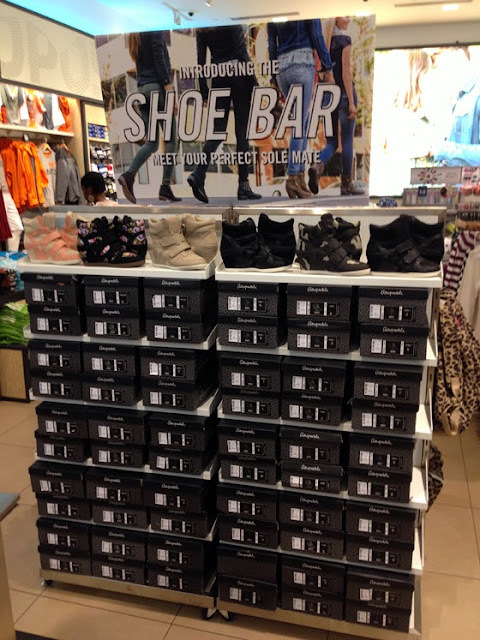 Have you seen the Shoe Bar at Aéropostale lately? This one's in the middle of the store on 34th Street, and is full of not just those cute wedge sneakers, but also boots (including cream colored combat boots, YES) and other super cute shoes for fall. Also, I did not know that Aeropostale carried Supergas. I'm looking closer next time I'm on 34th Street to see if they are in-store or online only, as I need to try these on.